This man was all concentration, while moving parts of a roof at the building site in front of the house. And afterwards he drove away with the mobile crane himself. Multitalented! 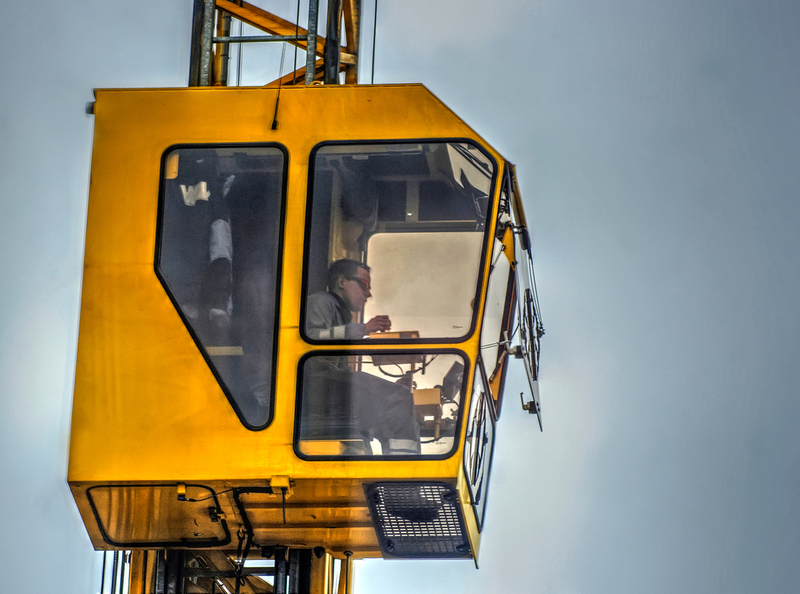 Categories: Netherlands | Tags: Architecture, Building, Concentration, Construction, Crane, Driver, HDR, Height, High, Industry, Joystick, Photography, Platform, Roof, Shoes, Site, Sunglasses, Yellow | Permalink.